Arthritis in the hands is the most common type of arthritis. It occurs as a result of the breakdown of the cartilage that support the bone structure. Since we use our hands and fingers in most activities, arthritis in the hands can be a cause of discomfort and uneasiness. Swollen fingers, joint inflammation, stiffness and pain are some of the symptoms of hand arthritis. Advancements in the medical field have led to the development of many methods for controlling the various arthritis symptoms. Along with medications, you can also try some easy yet highly effective natural remedies to improve the condition of your fingers and hands. Cold therapy is good for those suffering from hand arthritis. You can use ice packs, a plastic bag filled with crushed ice or a bag of frozen vegetables. Regular application of ice packs on the affected hands and fingers will lessen irritation and reduce soreness. However, it is important to bear in mind that different people may respond differently to cold therapy. Simply put the ice pack on the affected area for a few minutes and then repeat. Continue this home treatment for about 20 minutes, several times a day. Apply the cold compress to only one or two joints at a time, and be sure to put a thin towel between the ice pack and the skin to prevent frostbite. Apple cider vinegar has anti-inflammatory and alkaline-forming properties that help reduce pain and stiffness in the hands from arthritis. Drink a glass of warm water mixed with one tablespoon of organic apple cider vinegar and some honey every day. Alternatively, mix one-quarter or one-half teaspoon of cayenne pepper in one cup of warm apple cider vinegar. Soak the painful joint in it for about 15 minutes and then rinse it off. Repeat daily until you see improvement. Ginger contains antioxidant and anti-inflammatory properties that help reduce arthritis pain and inflammation. You can add this herb in your foods and also drink ginger tea to derive its benefits. Cut up a small piece of ginger. Boil it in one cup of water for 10 minutes. Strain and drink this tea two or three times a day until you get relief. 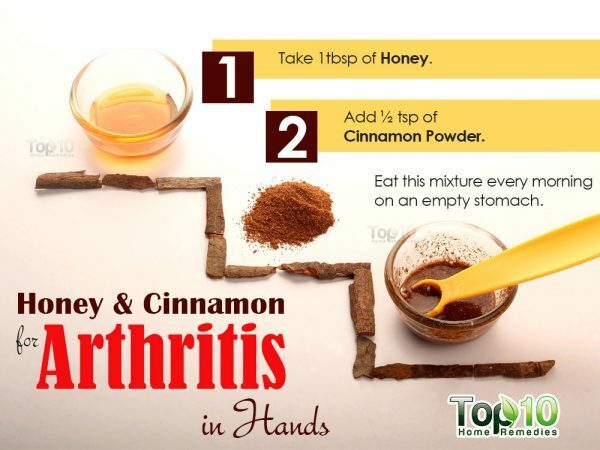 The combination of honey and cinnamon powder is a good natural way to treat arthritis in hands and help relax stiff muscles due to their excellent healing properties. Also, honey has antiseptic qualities, while cinnamon has good anti-inflammatory and antioxidant properties. Mix one tablespoon of honey and one-half teaspoon of cinnamon powder. Eat this mixture every morning on an empty stomach for several weeks or until you get encouraging results. Epsom salt is good for reducing the stiffness, inflammation and pain associated with arthritis. It is a rich source of magnesium which is important for bone mineralization; most arthritis patients have demineralized bones. Moreover, magnesium helps decrease nerve pains. Soak your hands in it for 20 to 30 minutes. Do this three times a week for several weeks or until you are satisfied with the results. 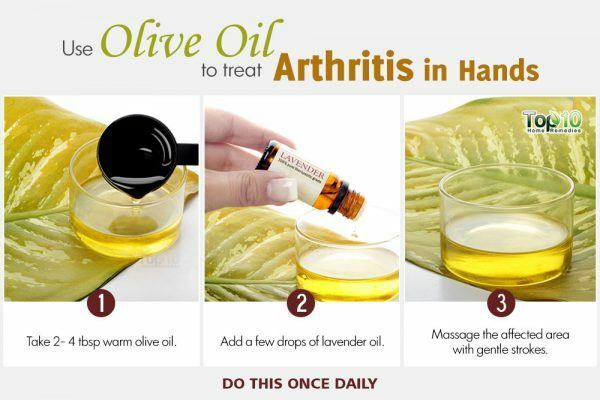 There is a strong connection between olive oil and inflammation caused by arthritis. A special compound known as oleocanthal present in olive oil helps prevent the production of pro-inflammatory COX-1 and COX-2 enzymes. Olive oil can be used as a massage oil for your hands and fingers. Add a few drops of lavender oil to two to four tablespoons of warm olive oil and massage the affected area with gentle strokes to alleviate discomfort and inflammation. You can also use olive oil for cooking food to help reduce the risk of rheumatoid arthritis. 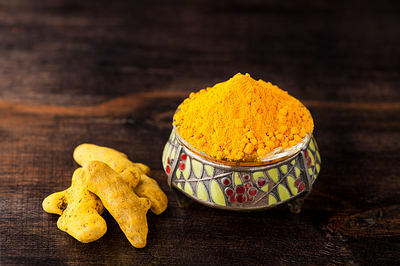 Due to its antioxidant and anti-inflammatory properties, turmeric is another popular ingredient for treating hand arthritis. Turmeric also has antiseptic and antibacterial properties. Add one teaspoon of turmeric to a glass of hot milk along with a little honey and drink it once daily. You can also try the spiced turmeric milk (recipe here). Alternatively, heat a quart of water, add one tablespoon of turmeric powder and boil the solution for 10 minutes. Allow it to cool and then drink it daily. Garlic is another effective ingredient for treating arthritis in the hands. It has anti-inflammatory properties that reduce pain and inflammation associated with arthritis. It contains sulfur that relieve joint pain and inflammation. Plus, the selenium present in garlic has antirheumatic effects. 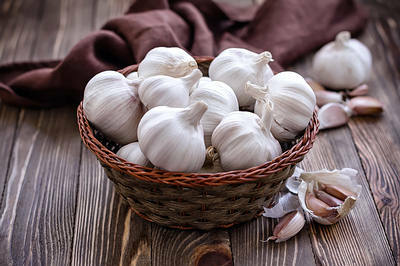 Eat garlic on a regular basis, either in raw or cooked form as per your preference. You can also fry two garlic cloves (chopped) in two tablespoons of mustard oil. Turn off the heat and allow the oil to cool until it is comfortably warm. Finally, apply it on the affected area and gently massage with it. Repeat the process twice daily until you see improvement. 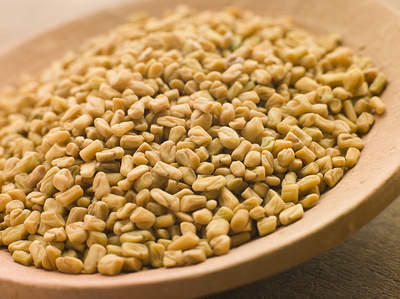 Research indicates that the anti-inflammatory and antioxidant effects of fenugreek, also known as methi, may help treat inflammation associated with arthritis. The next morning, eat the seeds and discard the water. 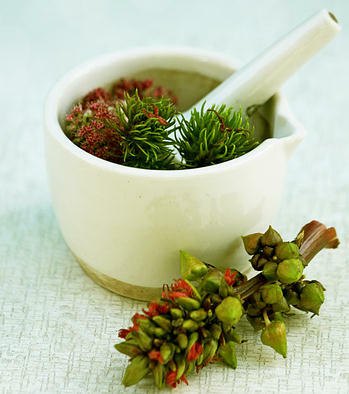 Castor oil has powerful medicinal and curative powers. The component known as ricinoleic acid present in castor oil has analgesic and anti-inflammatory properties that help a lot to get relief from arthritis pain. Gently massage some castor oil on the affected area. Do this twice a day to reduce pain. You can also boil two tablespoons of castor oil and then add it to a glass of fresh orange juice. Drink this juice before eating your breakfast daily, and within weeks you will notice an improvement in your condition. Caution: Castor oil also works as a laxative so not drink too much castor oil or for too long. To conclude, along with these home remedies, you also need to follow your doctor’s advice. Exercises and physical therapies will also surely help you have better joint movement in your fingers and hands. I am really glad to come across such a useful and awesome post. 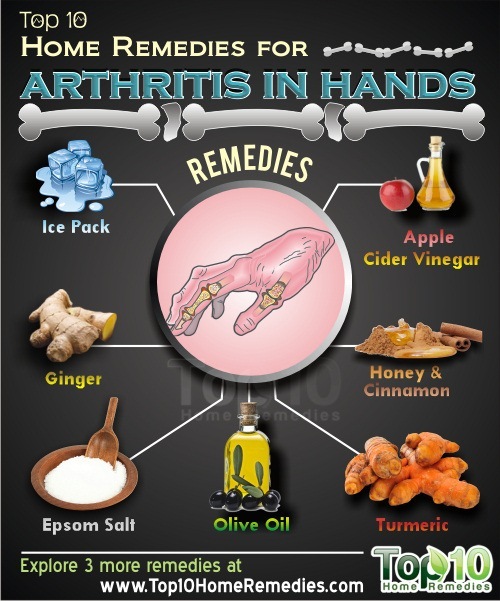 I was being searching for such valuable home remedies that would be helpful for arthritis in hands. The symptoms of arthritis can be controlled up to some extent. i just started suffering in my wrist according to the dr’s. I’m in construction so I need something that will work quickly and effectively. Please help!!!! This may sound weird but i know someone who works in construction and rubs his arthritic hands with wd 40 a few times a day. Hes told me it has done alot for him. Olive oil may help you. I’ve been suffering with hand,wrist and elbow pain and inflamation for a few years now. Ive had 7 operations including tendon release, wrist and thumb fusion and ligament repairs in both sides. I am still struggling with severe inflamation showing on an ultrasound scan and they are now saying that after all these operations my main problem is the inflamation itself which is causing the pain. Please can you help me find a cure for inflamation! Wendy, ice therapy is great for inflammation. Ice with a wet wash cloth around it for 20 minutes then nothing for 40 minutes. Then repeat. I feel its the most effective method and doctors always recommend it. Don’t use heat though because it causes more inflammation and don’t use ice longer than 20 minutes at a time because you body will feel as though its freezing and then in turn causes your body to make heat in the area which is what you want to avoid. I know what your talking about. I’ve had tendon release surgery which cured the burning but my fingers and hands are still swelled, going on 2 yrs. I’ve had every blood test, x-rays, and MRI’s. Nothing comes up positive. They say I’m pristine! I also have ganglion cysts on the top of my wrists. If you have any cures let me know. I’m drinking apple cider vinegar and taking curcumin tablets. No change yet. I just wanted to verify WHAT kind of apple cider vinegar you are using. The regular stuff you buy in the regular part of the store doesn’t work. You have to have the ac vinegar that has the “mother” in it. Braggs works wonderfully. I have noticed it helps my arthritis to a degree..but it helps GERD/acid reflux 100% taken twice a day (can add warm water/honey to taste). 2 Tbsp. twice a day. Hi Laura, just read your post that the apple cider vinegar helped you with GERD & acid reflux? I suffer from that as a result of taking too much ibuprofen, so much so that I went to the ER. How much do you take & how often? Kelly, just saw your post! Please stop taking ibuprofen now. I took it so long and so much for my fibromyalgia pain because I did not have proper medication. When I had to do an endoscopy, the doctor found five “5” ULCERS! Proper medication will not cause ulcers. Wendy, I’ve read and heard of great results from drinking pure cherry juice. I’ve also heard that the number one thing for inflammation is turmeric. I would recommend looking up turmeric use for chronic inflammation. If you are taking prescription or over the counter anti inflammatory medications I would take a very close look at those as they may be be doing more harm than good over the long run. (If nothing works well enough a fast or cleanse always brings the body intense healing and makes it more receptive) if you have belly fat I would suggest also checking to see if you have candidiasis as it can cause and exacerbate a myriad of problems including inflammation. I’m beginning to have RA in my hands, feet, and many other parts of my body. It seems to have progress rapidly. The pain in my hands grew from occasional to chronicle within two months. 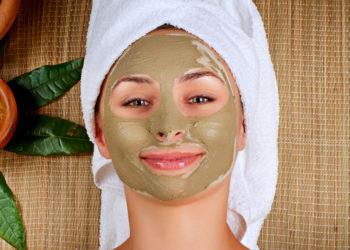 I will try some of the home remedies and, if they work, will post result here! Hoitt, I have noticed the same thing. I wake up every morning with pain and stiffness in my hands and left wrist. Also, in one knee. This has only occurred in the last few months. I would be curious to know if you have tried any of the remedies and which ones worked the best. I have been debating about getting a hand wax therapy bath. A young teacher friend of mine swore by his that he had to use every morning before school for his hand arthritis. The wax baths are not cheap, though. The swelling and pain in your hands in the morning sounds like carpal tunnel syndrome. I had it in both wrists and experienced the same problems every morning. I was able to relieve the symptoms for quite a few years by purchasing a brace for each wrist to wear at bedtime. This was at the suggesting of my chiropractor, and it did work until my job made the problem too severe to treat this way and I had to have surgery. Also, vitamin B-100 complex is very good for nerve issues when taken every day. Good luck, and I hope you get relief. Has anyone tried any of these remedies and gotten results from them. I suddenly felt temporary numbness on my right hand fingers while operating a computer mouse. This happened after I engaged my right hand in performing a heavy work-chopping woods single handed. Henceforth, there was swelling and pain. On the third day someone advised me to take honey with cinnamon powder in an empty stomach. After exactly five days. no more pain and swelling. As of this moment my fingers are almost cured. They’re back to normal without any medical intervention. What’s the ratio of honey to cinnamon? I’ve been taking the honey and cinnamon mixture for about a month and it seems to be working. Boil ginger root add it with cider vinegar and honey. Jane, I definitely have had good results; however, in addition to these awesome suggestions, I have done more. Aside from the suggestions on this post, you should stop eating the following: all refined foods such as pasta, sugar, salt, cookies; also stop eating: coffee, beans of any kind, corn, tomato, watermelon, potato, wheat, bell pepper, eggplant, fried foods, beef and pork. It is far better to eat lean protein foods like wild -not farmed – fish and organic chicken as well as turkey. Eat white meat products that do not contain nitrites and sulfates. I have rheumatoid arthritis in all of my joints and I have been able to control most of the symptoms with a strict diet plus regular exercise. I started exercising slow until I was able to run on the elliptical machine 3.5 miles 5 days a week. But it took me a long time to get to this point. I drink boiled ginger tea whenever I have mild pain in any area of my body. It absolutely works. That’s the only thing I knew about but I ran out in the middle of a flare up so I’m looking for an alternative…I think I’ll try a few of the others at the same time…I have epsom salt, honey, cinnamon and olive oil in the house already. Stiff morning hands troubleshooting: I found a thread that links taking fish oil supplements and sudden morning hand pain. I have experienced this in the last 2 months. I too, wake with stiff hands unable to fully make a fist. Lots of people shared how they just started a new fish oil brand. I stopped taking mine for three days with no change in stiff fingers. So that was not it. Is working in soil a common denominator? Can soil fungus enter a crack or cut in skin? I used to eat X-virgin coconut oil popcorn with sea salt very often in evening during cooler weather and do not eat much coconut oil in summer. It might be a connection. XV Coconut oil is very healthy and maybe I need more. I do have a thought that it might be a vertebrae out of place in cervical spine. I think this might be the cause because of the hard work I’ve been doing, my shallow breathing (like reduced lung capacity) and my arms get heavy if I fall asleep with them over my head. I just started taking 2 T apple cider vinegar with 1 T raw honey in 8oz warm water each morning and night. Too early to call. I was told by my chiropractor to NOT sleep with your arms over your head..you have to really pay attention to it as it cuts off the blood flow to your hands/arms and then when you lower them you make your heart work harder to catch up with the extra blood flow all of a sudden..so try to stop doing that and a vertebrae out can really cause the pain and breathing issues also. Now I am reposting what I wrote to someone earlier as it is the same response in regards to apple cider vinegar..I just wanted to verify WHAT kind of apple cider vinegar you are using. The regular stuff you buy in the regular part of the store doesn’t work. You have to have the ac vinegar that has the “mother” in it. Braggs works wonderfully. I have noticed it helps my arthritis to a degree..but it helps GERD/acid reflux 100% taken twice a day (can add warm water/honey to taste). 2 Tbsp. twice a day. I’m going to try the soaking in hot water for my hands and wrists, they give me so much pain. These remedies are simple and I will be trying more of your remedies. What’s your suggestion that would help to relieve the inflammation and pain in a person with R.A ? I have had some success with Emu oil. When I say some ,is because the stiffness has not entirely vanished but has significantly reduced and so the pain associated with it. no,1 and 9 very good. Tried the Epsom salt and OMG does it work. Going to use every day. Pain free right now and. I have lived with arthritic pain in the hands for about 5 of my 80 years. Something I observed was that when I worked on my bike and my hands were covered with grease, that my pain was minimal and I had no middle finger lockup. Realizing that vaseline is also a mineral oil derivative, I tried it and have been using it ever since. The common Vix or equivalent ointment, containing aloe and eucalyptus oil is significantly more effective and longer lasting than just vaseline . A very sparing application on all knuckles before bedtime does wonders. Where do you get your stomach acid. Mike, what is stomach acid and where do you get it? Not crazy, resourceful I would say, I also would love to know how to obtain stomach acid. To be free of pain, able to ware gloves & yes not the constant embarrassments of having hands that have becomes disfigured would truly be a joy. Thank you for the sharing knowledge. Sometimes pain can also be caused from lack of Magnesium (tablets taken internally) .Just Google and research Magnesium and how it may help with aches and pains. Honey and Cinnamon have done wonder for my father. What’s the ratio of honey and cinnamon?? Sandeep, how much of each (cinnamon & honey) and how often? I swear by my grandma’s recipe for arthritis hand cream. Put a tablespoon of hydrogen peroxide into around 8 ounces of hand lotion, mix well. Apply on sore joints as much as you want. Test it first on a small area in case of sensitive skin. The peroxide helps lower the tension of the joints and provide relief from the pain. Deborah, it’s written in the original post: one tablespoon of honey mixed with half a teaspoon of cinnamon. Hi i am suffering for numbness of my finger 5 weeks tell now and lucky to found this site,And im trying now to ake the Honey and Cinamon .i wish it’s getting better if i will continue to take it untill the numbness and fingers sore gone…thanks for this site ! !more power!! An EXCELLENT old home remedy that works for many people with Arthritis is soaking raisins in gin. Please google this remedy as well as the directions on how to make it and how many to eat every day. In addition, eating dark cherries every day works for many people too. I use organic apple cider vinegar with mother & honey every day and it does seem to be working. I have osteoarthritis in my hips. I do yoga everyday too which help. I keep away from refined foods and gluten. Thanks for all the different tea drinks or other remedies from spices in our kitchen shelves and how to prepare them. Much appreciate it. Have been trying the cinnamon and honey regime and in just 3 days my hands swelling and weakness have improved greatly. Woke up this am and could pick up a glass of water…..with one hand and no pain. I am a believer! I have an appointment today to have some help with the pain and swelling in my hands. After reading the above comments, I am also going to try some of them, starting with the cinn. and honey. I WILL CERTAINLY BE TRYING SOME OF THE .IDEAS ON MY HANDS THANKS FOR ALL THE INFORMATION. I’m suffering with pain in my right hand. Feels like someone is twisting a knife in my finger. Will try honey and cinnamon today. This is a very good tips, since I am having quite a stiff hands……….& I am going to massage my customers tonite…….I need a strong hand, not a stiff hand…. Boil ginger root, mix it with cider vinegar, cinnamon, and honey. My formula. ICE PACKS … not! Cold makes arthritis even worse. Don’t take my word for it. Just visit/live in a damp, cool, wintry, location and tell me how your hands feel; and then take a week in a hot dry place, like Arizona or Mexico and you tell me. Even now, October 25/15, Ontario Canada, the minute the September cold begins to hover in, my hands and parts of my body begin to stiffen and ache; even place hands for example in a hot tub at work while preparing a bath for those I support…soooooo nice…and it is the heat that relieves any pain and brings my fingers back to normalcy. Im experiencing numbness of my fingers every morning.. I will try this honey and cinnamon .hope it will work. I need all the help that I can get as my hands are almost conquered by Rheumatoid Athritis. I massage them daily with a mixture of coconut oil with four squares of camphor dissolved in the oil. I can now try some of the above home remedies as all my medications have bad side effects on my kidneys and liver. Thanks for the help. I have been diagnosed with RA past 12yrs now, i am 30 yrs now. I am already on Ayurveda meds, and now shall start with these remedies too, as the Ayurveda meds havent seem to show immense effect so far, though i have stopped consuming nonveg, and alcohol for nearly couple of months. I hope these remedies will help me reduce the hand joints inflammation and get my grip back. I just read the posts above and suffered many years with GERD and acid reflux. Then I read a homeopathic article that said fresh pineapple will “cure all”. In my case it has. Haven’t taken any OTC or script for it. Always have fresh pineapple in the frig. I keep canned slices just in case. However, now seldom use. Hopes this help. Anyone heard of Borax for arthritis? I was told this by someone but am reluctant to try it. Wonder if some of the food that we think make arthritis and allergies worse, is the one sprayed with round up and other chemicals. I will start using organic see if it helps. Thanks for your excellent site – please send your new insights to my email address.